I Take MOXXOR Everyday to Balance pro-inflammatory fats with anti-inflammatory Fats! Here are some important reasons why I share MOXXOR so often with you as it helps to cancel out these damaging non-foods should you eat them now and then by balancing the pro-inflammatory Omega-6 oils with the anti-inflammatory MOXXOR . Eating just a tiny amount of these nasty vegetable oils can increase your risk of heart disease and promote accumulation of visceral fat – a dangerous kind of belly fat that’s almost impossible to get rid of. Well, believe it or not, MANY of the foods that show “Zero Trans Fat” on the label actually contain a TON of it. Thanks to the FDA, manufacturers are allowed to label ANY food, even so-called “healthy” ones, with less than .5g of trans fat per serving as “Trans Fat-Free”. Almost every manufacturer lowers their portion sizes on the labels to hide their claims on their products while filling them with this dangerous and fattening ingredient. Here’s a powerful, eye-opening example. When you eat just ONE handful of “Zero Trans Fat” crackers you poison your body with a couple grams of toxic, fat-storing trans fat – WITHOUT even being aware of it. But wait. It gets even worse. There’s one common food in particular that’s probably in your pantry, right now, and it contains loads of trans fat that don’t appear ANYWHERE on the label. That’s right. NOT on the ingredients list, NOT in the nutrition facts, and not even on your favorite Internet food database. Nowhere. Keep reading and you will see what it is! 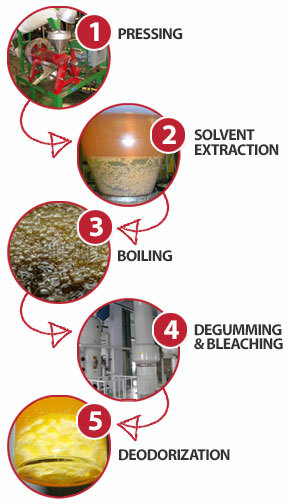 Very few people know this, but vegetable oil (made from fat-storing corn, soybeans or canola) has to go through an extreme 5-step processing method before it ends up on your supermarket shelves. This high pressure, high temperature process destroys all the “heart-friendly” fats originally contained in the oil and transforms it into dangerous trans fats. According to a shocking study by the University of Florida at Gainesville, your vegetable oil can contain up to 4.6% hidden trans fat that’s not on the label. These are all pro-inflammatory problems waiting to make you sick and in pain!